Also includes new questline and comic book. Blizzard’s colourful MOBA Heroes of the Storm has just received a substantial new update, introducing a new quest line and several other changes and additions. 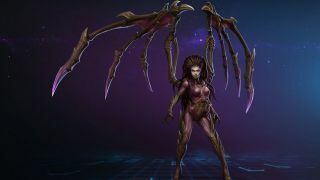 This new quest comes alongside reworks for two of the game’s Heroes—Kerrigan and Brightwing. These changes are pretty extensive, and so Blizzard has created two character Spotlight videos explaining the alterations for Kerrigan and Brightwing respectively. Other changes include a reworking of the Garden of Terror Battleground, which is explained in another Spotlight video, and the introduction of a new HOTS comic book also called “The Fall of King’s Crest", which delves into the lore behind the new quest line. The update comes alongside the opening of HOTS fourth ranked season for 2018, enabling players to deploy these reworked characters right from the off. You can find out more about this new Season on the Season 4 blog.